Only 69cm×69cm×64cm body with compactly designed lighting provides you to easy carrying by one person. 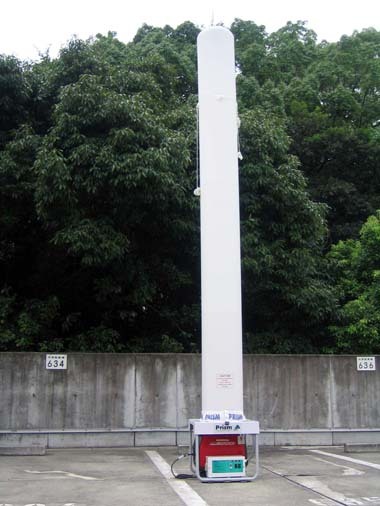 Thanks to Air Inflated tower, this PIL-1000G has only 25 Kgs (without generator), the lightest one in the 1000W class flood lighting tower. It is very easy to carry and use at where the vehicle cannot come in. Specially designed balloon cloth provides you to soften lighting but the brightest similar as Sun-shine by filter working. The time for making up the balloon tower is only 30 seconds, also within totally only 4 minutes to make the lamp to maximum output. 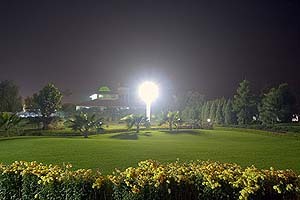 The lamp can be available to 10,000 sq. meters at 95,000 lumens. Only to turning on the switch of balloon motor and lamp switch.